"Captain America: Civil War" is setting up for one of the biggest openings in box office history, and it may get some extra help from everyone's favorite web-slinger. "Civil War," the next film in Disney's Marvel Cinematic Universe, opens Friday with Captain America fighting Iron Man alongside a cavalcade of heroes including, for the first time, Spider-Man. The young wall crawler from Queens is one of the most popular characters in box office history bringing in $3.9 billion at the worldwide box office, according to comScore (SCOR). However, up to this point the rights to the character belonged to Sony Pictures Entertainment, keeping him from joining Disney's Avengers. That changed last year when Disney and Sony made a deal to share the rights and reboot the franchise with Tom Holland as the new Peter Parker. Spider-Man's addition to Marvel Studios is a moment fans have been clamoring for, and that excitement could help boost "Civil War" ticket sales. For example, in a Fandango poll of more than a 1,000 moviegoers who visited the "Civil War" ticket page, 87% said they are intrigued by Spider-Man's presence with other Marvel heroes. And the first glimpse of Spider-Man in a March trailer of the film got a huge reaction online, helping it reach over 63 million views on YouTube. "His presence can only help because the character is still counted among the most popular superheroes in all of comic book lore," said Shawn Robbins, senior analyst at Boxoffice.com. "The rule of thumb in any fan-driven movie genre or adaptation is that if the fans are happy, you're on the right track." The introduction into the Marvel Universe is also a new start for our friendly neighborhood Spider-Man. 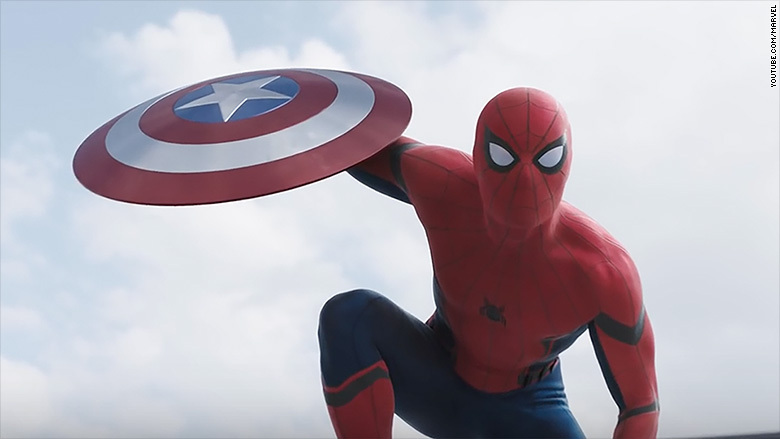 Will the addition of Spider-Man help boost the box office of Marvel's "Captain America: Civil War"? The character has had a successful streak at the box office, but not with critics. The last three Spider-Man films (2007's "Spider-Man 3," 2012's "The Amazing Spider-Man," and 2014's "The Amazing Spider-Man 2") brought in lackluster review scores of 63%, 73%, and 53% on review site Rotten Tomatoes. So far reviews for Holland's performance have been stellar. "Previous movies have had issues balancing the youthful banter and scientific confidence of the comic-book wallcrawler, but Holland nails the role in every aspect," wrote Brian Truitt, entertainment writer for USA Today. This is good news for Disney and Sony who are partnering on next summer's "Spider-Man: Homecoming." "Disney benefits from adding an iconic character to their library of Marvel films at just the right time in the narrative," Robbins added. "Sony gets to partake in that success now with proven creative talent breathing much-needed new life into a character that helped kick-start the current wave of superhero blockbusters." Box office analysts have "Civil War" projected to haul in roughly $200 million domestically this weekend, and having Spider-Man doing whatever a spider can should help. Yet, with or without him, the Marvel franchise -- and its roughly $9 billion worldwide box office -- doesn't exactly need saving. "Spider-Man is a nice add-on," said Eric Handler, media and entertainment analyst for MKMPartners. 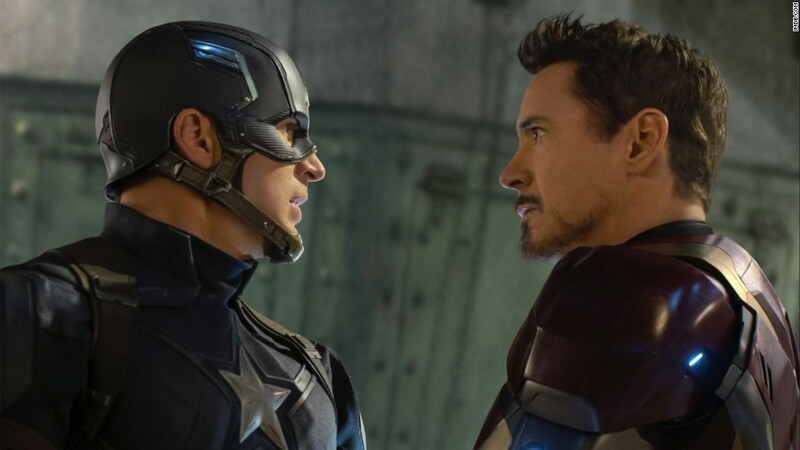 "But given the success of The Avengers and Captain America films, 'Civil War' is perfectly capable of standing on its own."